WASHINGTON, D.C. (September 10, 2008) Ã¢â‚¬â€œ Surpassing its initial goals, the Poker Players Alliance (PPA), the leading poker grassroots advocacy organization with over 1 million members, raised over $140,000 for paralyzed veterans through the two charity poker tournaments that were among the most popular events held during the Democratic and Republican National Conventions. The tournament at the Democratic National Convention, Ã¢â‚¬Å“Poker at the BallparkÃ¢â‚¬Â, was held at Coors Field and featured over 180 players from across the nation including Hollywood stars Ben Affleck, Seth Myers, Sarah Silverman, Richard Dreyfuss and Montel Williams as well as professional poker players Andy Bloch and Victor Ramdin. 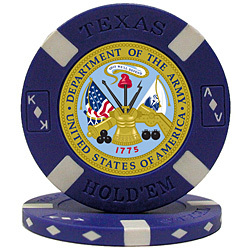 A Texas Hold Ã¢â‚¬ËœEm tournament was also held at the Republican National Convention, hosted by the PPA and the American Gaming Association (AGA), and featured over 100 players including poker pros Ramdin and Greg Raymer. For both events, 100 percent of the proceeds were donated directly to the Paralyzed Veterans of America (www.pva.org). Affleck, a poker aficionado, won the tournament in Denver, and Adam Radman of Americans for Tax Reform, won the tournament in Minneapolis.